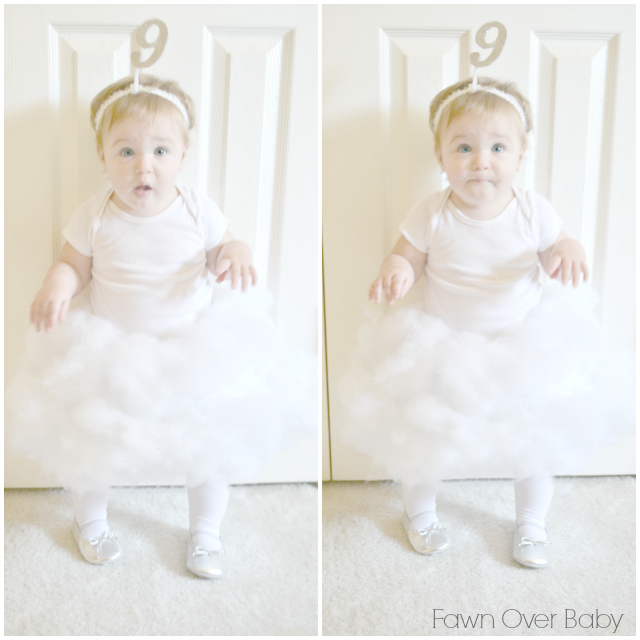 Fawn Over Baby: DIY: Baby Halloween Costume - "Cloud 9"
Happy Halloween Month Everyone! I can not believe it is already October. 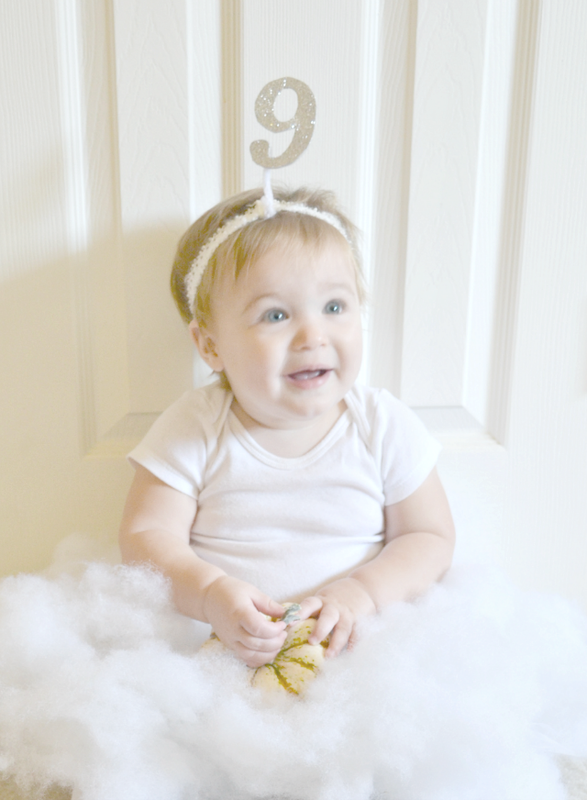 This is an extra special month for our family, as it marks my baby girl's first year! On October 25, our little McKenzie will turn ONE! I swear it feels like just yesterday we were bringing her home from the hospital for the first time. My, how time flies when you are having fun! This October is going to be a fun month for sure. Not only do I have a first birthday celebration to plan, I have come up with a Halloween costume that will fit an 11 month old! There are so many adorable baby Halloween costumes out there that are perfect for our little ones! 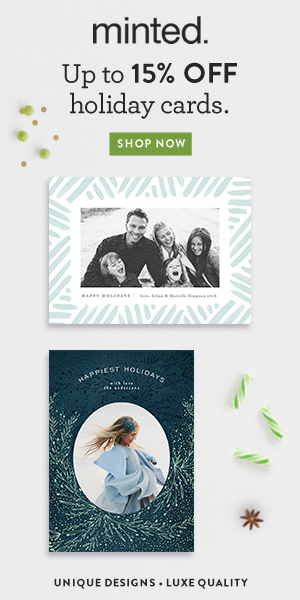 However, why not indulge your creative side and make one from scratch? I know what you're thinking, who has the time? 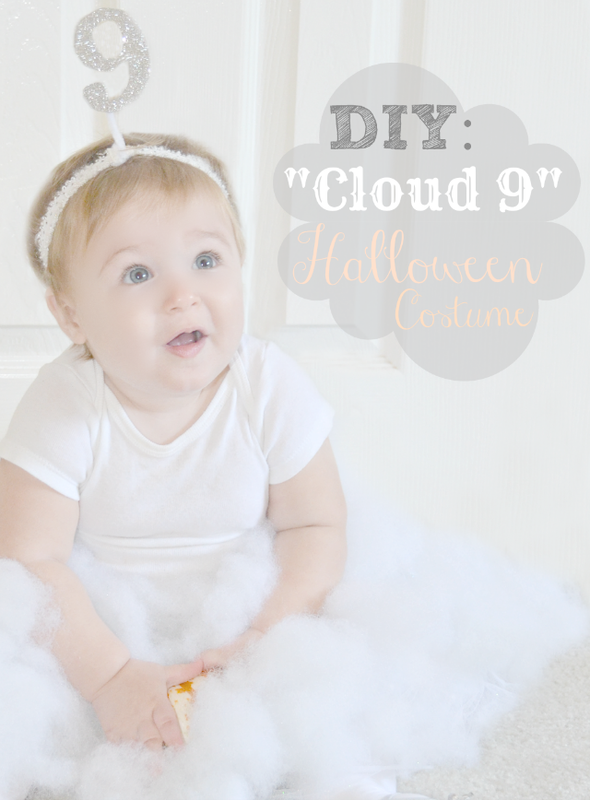 Well thanks to Parenting Magazine for advertising this adorable "Cloud 9" costume for babies, I decided to create a How-To make a "Cloud Nine" costume for your little. 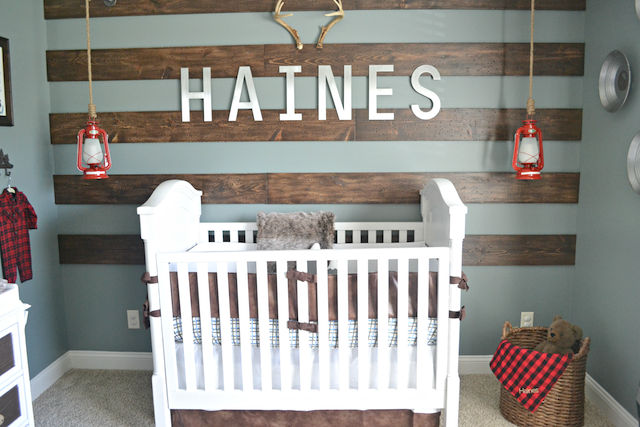 By using a few pieces you probably already have in her closet paired with this quick and easy DIY tutorial, your baby will be sitting on cloud nine in a flash! I am going to break it up into two sections, so bare with me. I promise, it's so easy though! Spray TuTu with adhesive also then press and hold batting on entire outside of TuTu. Once Batting is added - Apply one good coat of adhesive over entire tutu, then let dry. Print and cut out your # 9 template. Shape and hot glue a pipe cleaner on the back of your # 9 (I chose a white pipe cleaner). Wrap and twist the stem of your pipe cleaner (with # 9 attached) around the top portion of your headband. Viola - Your # 9 headband is complete! 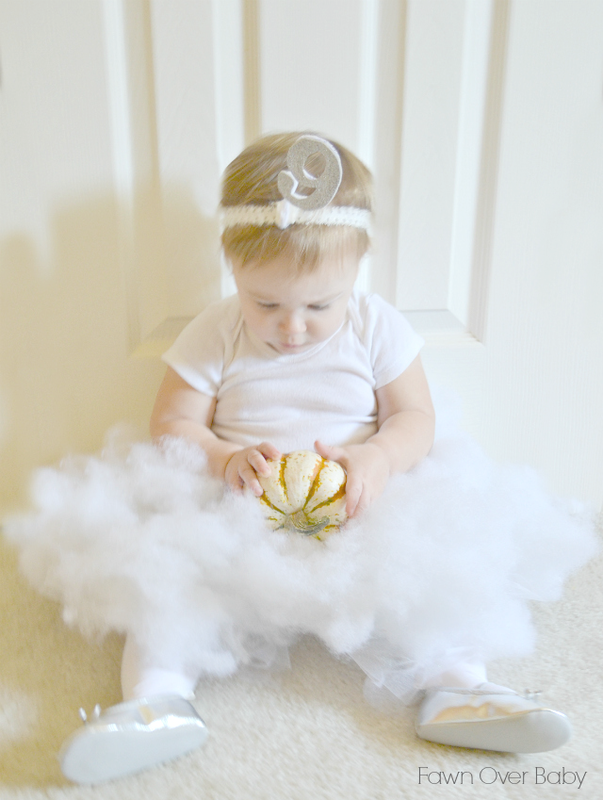 Last But Not Least: Dress your little in a white onesie and white tights before adding on costume. 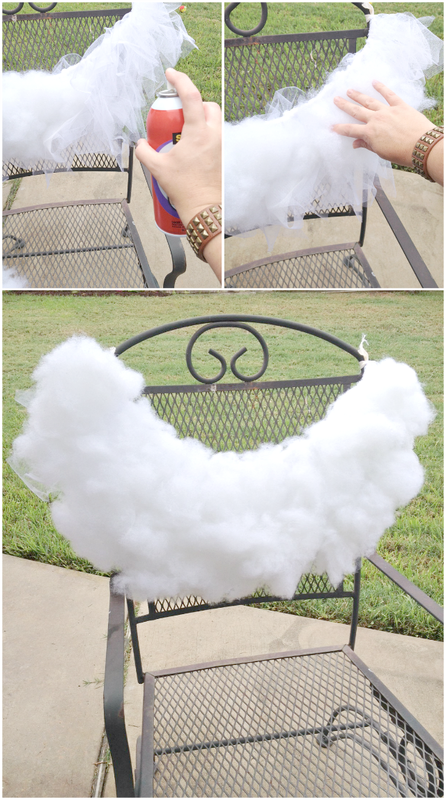 Your "Cloud 9" Baby Costume is Now Complete! Thank you Caroline!! It's such a cute costume, an adult could adopt the idea for a Halloween party!